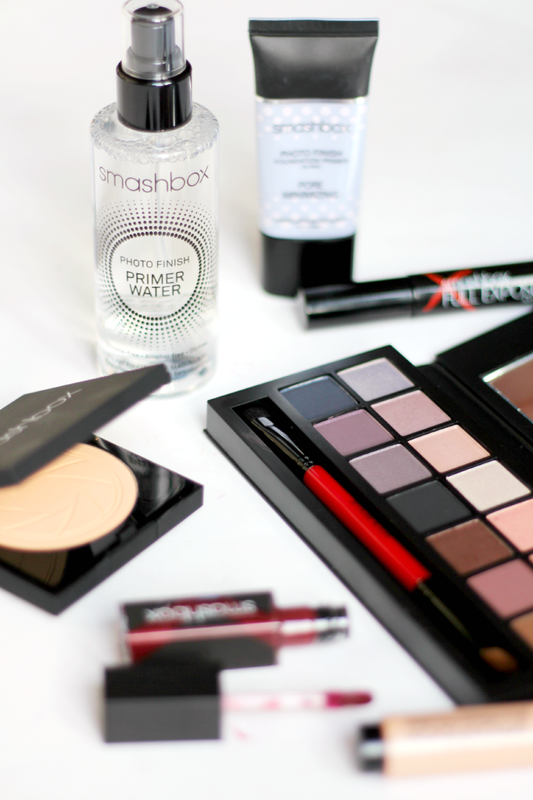 Yes, today we’re chatting about Smashbox. A brand I’ve seen around for years, but have only swatched while perusing the aisles in Boots and never quite got stuck in. But, they’ve stormed into my life recently and I’ve become a bit obsessed with the quality and products on offer so this is a little run through of the ones I do rather like! 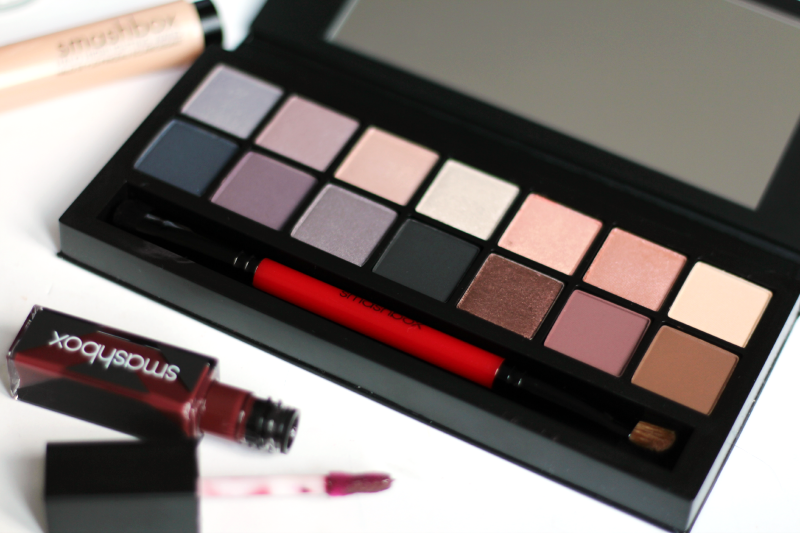 Let’s start with the most beautiful one of the bunch, the new Smashbox Double Exposure Palette. It contains 14 shades, from inky blues to muted purples to metallic golds and champagnes, making it the perfect palette for every look. You can use the shades as they are, or wet your brush to get super intense versions of them to create dramatic eye makeup or even just use it as eyeliner. It’s a seriously gorgeous palette and one I’m so happy to have my mitts on! Following on with the theme of eyes, the Smashbox Full Exposure Mascara is one to pick up if you like a bit of volume, a bit more length and a bit of separation. It’s a good all round mascara and you can built it up for an evening too! Definitely an everyday staple for me! 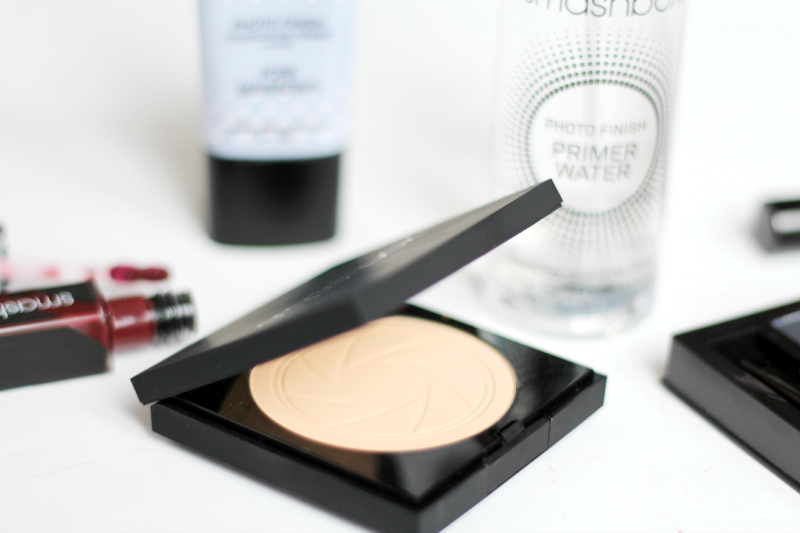 Moving onto the complexion, the new Smashbox Photo Filter Powder Foundation is a new release (out 18th Feb) so I was quite excited to try it. This is shade 3, which is a tad dark for me, but should work well in summer I think. It’s a powder foundation, which sort of melts onto skin like a cream. It has a natural finish and buildable coverage, too. One to look out for! Underneath this, you could always pop on their cult Smashbox Pore Minimising Primer, which blurs imperfections for a smoother base. Or, you could opt for their new Smashbox Photo Finish Primer Water! It’s as it says, a spray style primer that you can also use as a refresher throughout the day if your makeup needs a boost! I’ll do a more in depth review on this later, but it’s out later this month too. The final ones are the Smashbox Halo Highlighting Wand, which is a gorgeous click up brush and comes out as a gold liquid/cream. It’s very natural looking and offers a lovely glow, as opposed to a streak of glitter! Aaand I’ve talked about their lipstick before, but the Smashbox Be Legendary Long-Wear Lip Lacquer in Bordeaux. It’s a dark red, highly pigment gloss/lipstick hybrid that really sticks and lasts all day. It’s so good and the colour is gorgeous. Go swatch them next time you’re near a counter! Have you tried Smashbox before? Let me know what you think in the comments!